Ok, ok, I know that it’s Christmastime…but it is crazy warm in the greater NYC area right now! Which reminded me to share one of my very favorite quilted postcards from last year. When doing trees, I find it easier to put the piece trunk-facing-away from me, so that as I stitch, I travel up the branch. On most machines, you can simply hold the stitch-width button down as you stitch to smoothly narrow the ‘branch’ as you approach the tip. 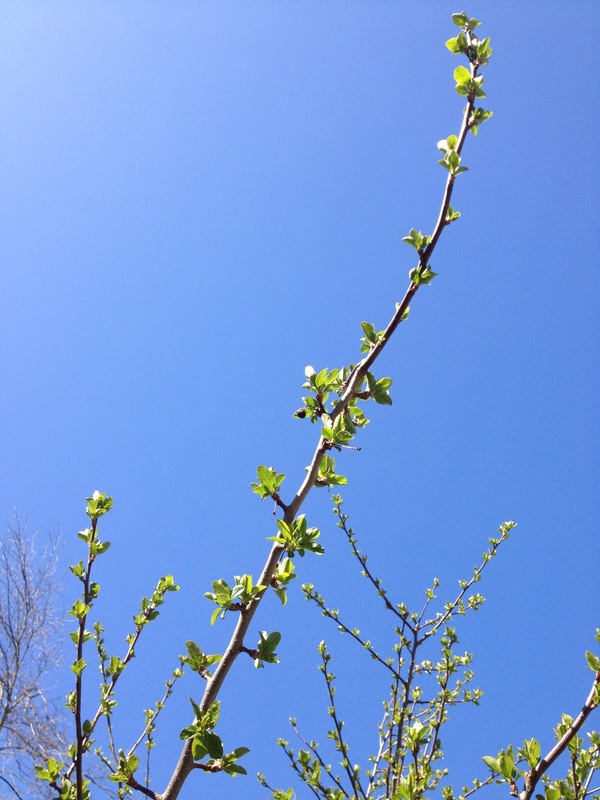 When you’re happy with your “branches,” it is time for leaves. 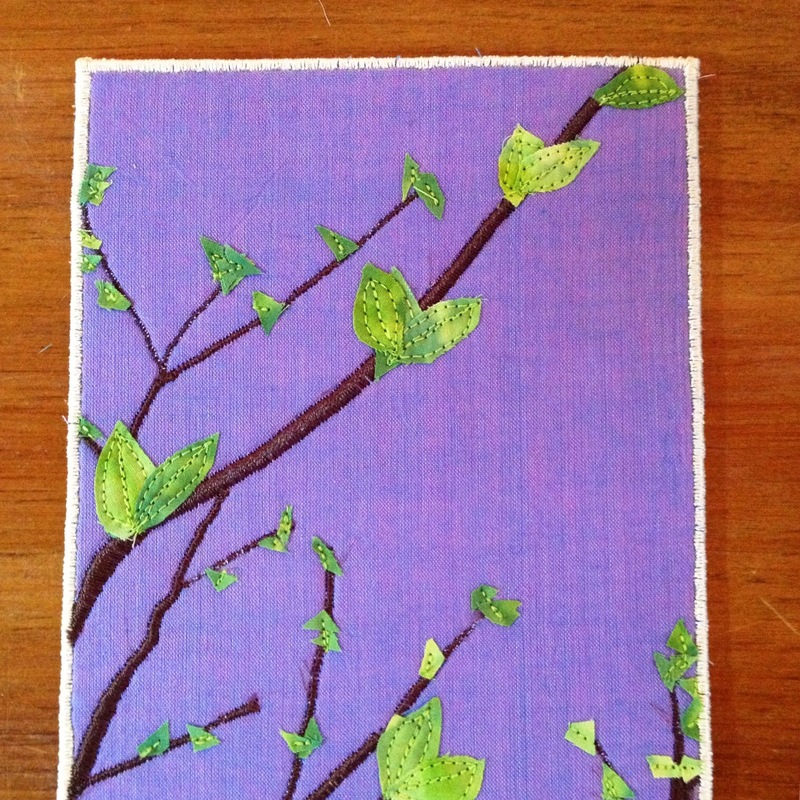 I Misty-fused a small piece of dappled light green batik and sliced it into lots of little pieces. 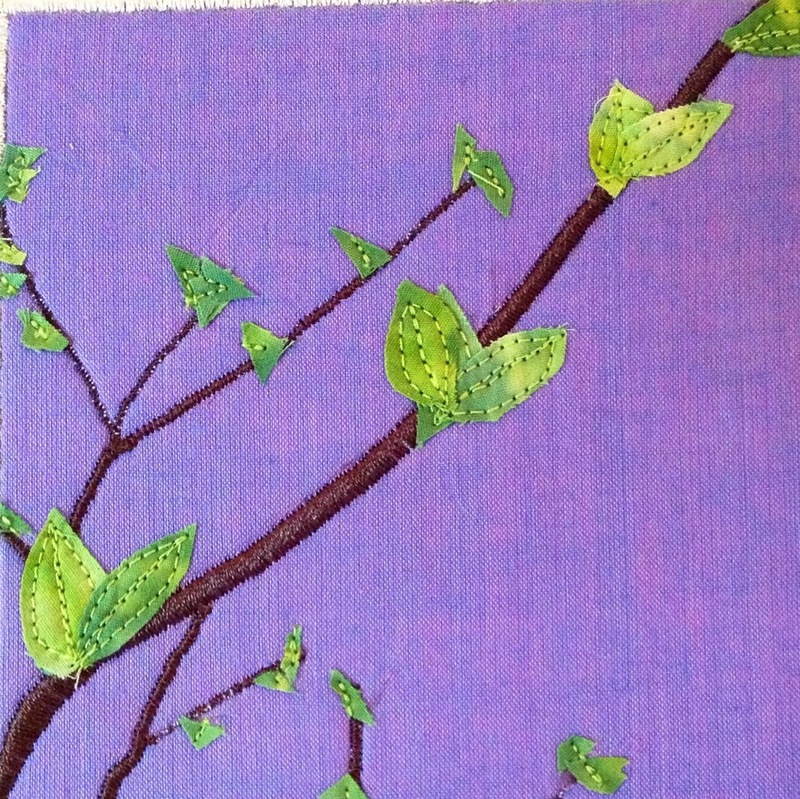 You will notice in the photo that I cut some as full leaf shapes and others as more random small bits to suggest buds. Scatter your leaves where you’d like them, press (with pressing sheet as invariably a few leaves will turn over), and stitch down through all of the leaves to secure them to the branch. This makes a lovely “Happy Spring!” card for a loved one :). Here’s hoping for more seasonal weather SOON! This entry was posted in Uncategorized on December 14, 2015 by neonkittyquilts.